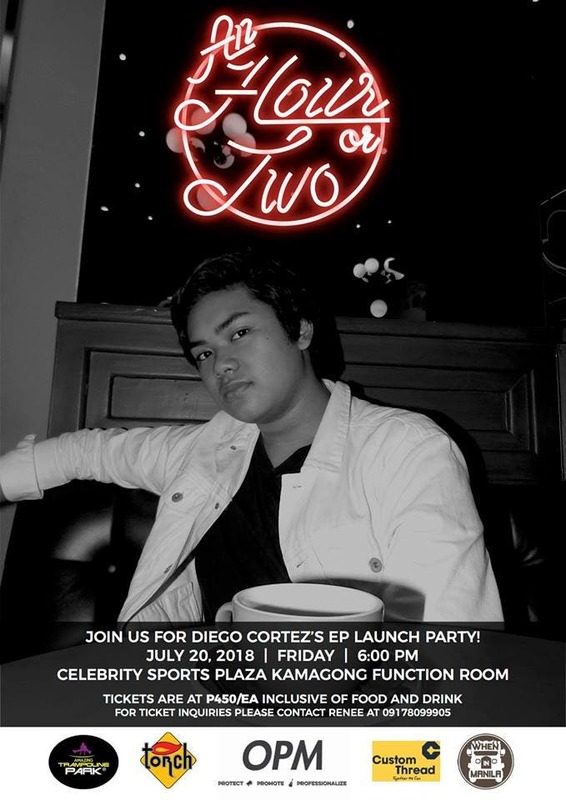 The up-and-coming singer-songwriter, Diego Cortez, will launch his FIRST debut EP entitled “An Hour or Two” with a celebratory concert this July 20, 2018 at the Kamagong Function Room at Celebrity Sports Plaza. Diego Cortez began producing and releasing music in 2017, maintaining a Facebook page and Soundcloud for releasing content. He identifies his genre as pop-jazz fusion, and his lyrics explore the trials and tribulations of love and triumph through the eyes of a teenager. This EP launch is a step forward to pursue his career in the Music Industry. This independently-produced EP, consisting of seven (7) original songs, showcases the musicality and lyrical ability of Diego. It talks about a person’s story of loving someone and the personal triumphs over inner issues. On the evening of 20th of July, he will be joined by both amateur and known local artists in the Philippine Music Industry. Reserve your tickets now at https://goo.gl/forms/2I1LASysk2XBLf1K2. LOOK: Another poster of 'Goyo' has been released! Smiles for the World:$1,000.00 Prize for the Filipino Photo Essay Contest. Manila Game Jam 2014: The Biggest Annual Game-Making Event in the Country!